After jumping off the train to St. Louis, Griffith, Woody, and Dog find their way back to the Travelin' Nine. Meanwhile, the rest of the team prepares for the next game--but before they can even get warmed up, the game is cancelled. Still fearing they are being followed and even more worried they have a traitor in their midst, the team travels to New Orleans, where the magic of their ball and the music of the city create one memorable game. But like always, trouble is right around the corner and the hits keep on coming for the Payne family and all of the Travelin' Nine! Loren Long illustrated President Barack Obama's Of Thee I Sing; the newest version of The Little Engine that Could by Watty Piper; Madonna's second picture book, Mr. Peabody's Apples; Nightsong by Ari Berk; Frank McCourt's Angela and the Baby Jesus; Love by Matt de la Pe a; and If I Was the Sunshine by Julie Fogliano. He also wrote and illustrated the Otis series and was part of the Design Garage for Jon Scieszka's Trucktown series. Loren's work has appeared in Time, Sports Illustrated, Forbes, The Wall Street Journal, and The Atlantic. He lives with his wife and two sons in Cincinnati, Ohio. Visit him at LorenLong.com. Phil Bildner is a former New York City public school teacher who lives in Newburgh, New York. He spends much of his year visiting schools and libraries around the country and world. He is the author of over twenty books including the middle grade novel A Whole New Ballgame and picture books Marvelous Cornelius, The Soccer Fence, The Hallelujah Flight, and Twenty-One Elephants. 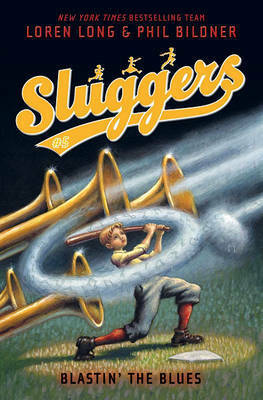 Along with Loren Long, he is the coauthor of the New York Times bestselling Sluggers series. Visit him online at PhilBildner.com.